Kobolak became the first Cinnaminson athlete to take first place in an event at Meet of Champions after winning the discus on June 9. Cinnaminson High School senior track and field thrower Kamron Kobolak’s biggest goal was to become a state champion prior to graduating high school. On June 9, Kobolak achieved his goal, but in an unexpected way. Kobolak made history when he won the discus at the NJSIAA Meet of Champions, becoming the first athlete in Cinnaminson history to take first place in a Meet of Champions event. Kobolak won the discus even though he spent most of his high school career mainly competing in the shot put. Kobolak entered the spring season as a state title contender in the shot put after finishing in third place during the NJSIAA Indoor Meet of Champions in February. However, he began to focus more on discus following the South Jersey Open in early May at Delsea Regional High School. In the meet, Kobolak easily took first place in the discus with a throw of 177-feet, six inches. “I started hitting some big numbers and I thought, maybe I should start taking it more seriously,” Kobolak said. 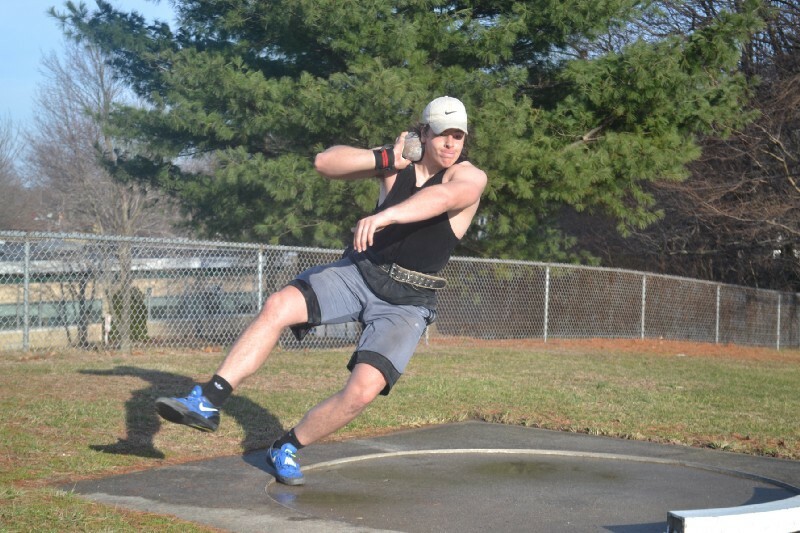 The South Jersey Open kicked off a month to remember for Kobolak as he began winning both the shot put and discus in nearly every meet he competed in. Kobolak swept the two events in the Burlington County Divisional Championships, the South Jersey Group II sectionals and the NJSIAA Group II state championship meet. His first place finishes at states qualified Kobolak for the Meet of Champions in both the shot put and discus. The Meet of Champions began with the shot put, where Kobolak placed second with a top throw of 61-feet, 11.75 inches. Kobolak finished behind only C.J. Licata of Gill St. Bernard’s School, who won the event with a throw of 64-feet, 6.75 inches. After competing in the shot put, Kobolak immediately went to warm-up for the discus, noting he needed to switch his mentality from one event to the next. “It’s hard because the two events are so similar, but so different,” Kobolak said. Kobolak immediately made an impact in the discus, registering a throw of 185-feet, six inches in his first attempt. The throw would end up being Kobolak’s championship-winning toss and set a new Burlington County record. Kobolak topped 190-feet on two other attempts later in the event, but neither throw counted as he stepped outside of the throwing circle. Kobolak’s first throw would stand up as the best of the day, even though Linden High School’s Kyle Lipscomb Jr. nearly topped it. Lipscomb finished with a best throw of 184-feet, eight inches, just 10 inches shy of Kobolak. Kobolak noted he had come a long way on the track and field team, talking of how he struggled to even make the team when he started the throwing events. “Being able to finish as the first Meet of Champions (winner) from our school is just amazing,” Kobolak added. Kobolak will continue to compete in throwing events in college, as he will attend Rutgers University beginning in the fall.